MyPal 4 way pallets are suitable for markets with high hygiene-sensitive regulations such as the pharmaceutical industry and food contact companies. 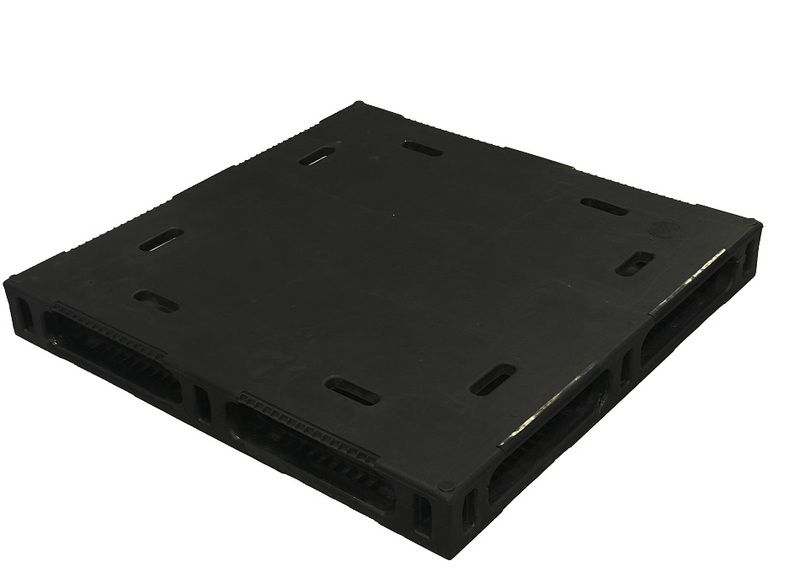 MyPal 4 way entry pallets meet a high load capable of edge racking of 1,500 kilograms; making it ideal for heavy payloads or automated warehouses requiring clean plastic pallets. 4 way entry plastic pallets are non-porous, easy to clean and will not absorb moisture or odours. This represents a 41% weight saving or 280 kgs weight saving per semi load. MyPal have leasing options available for closed loop operators. Please contact us to discuss your requirements.